Haverhill, MA – In an effort to recognize outstanding achievement in the Greater Haverhill community, the Greater Haverhill Chamber of Commerce formally identifies a “Business of the Month” approximately every four weeks. This award is given to a Chamber member that is a proven leader in their business or industry and excels in the areas of community involvement, economic growth, customer service and professional relationships. 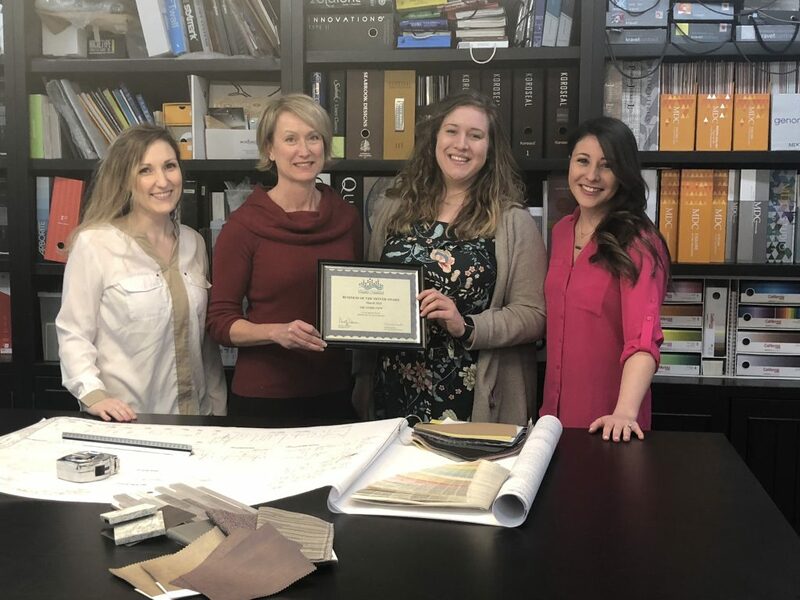 Following an eight year career in Real Estate development and construction project management, Mary Grise began her own interior design business in 1998. For seven years, she operated Mary Grise’s Interior Design out of her home, servicing both commercial and residential clients. In 2005, she changed the name of the business to The Inside View, LLC and opened her first design studio in downtown Haverhill. In 2011, The Inside View relocated to its current site at 12 Granite Street. The design studio is a light-filled, renovated shoe factory and houses thousands of finish samples, including flooring, fabrics, paint, stone, wood, laminates, shades and blinds; window treatments and many, many more items. Clients are welcome to browse samples and a selection of retail accessory items. Nominations for Business of the Month can be submitted at any time. If you would like to nominate a business to be considered for Business of the Month please call 978-373-5663 or email info@haverhillchamber.com. There is no fee for nominations or applications. Companies may be nominated by any member business. This is a benefit available exclusively to Chamber members. The Greater Haverhill Chamber of Commerce is a private, non-profit business organization composed of over 500 area businesses, and we are growing by the day. The Chamber creates and fosters a prosperous business environment and support the growth and profitability of their members, providing the resources, advocacy, information, networking and marketing opportunities for members’ success.